New York is a disease. Meet the cure. Manhattan in New York City has been turned into an enormous prison where only the worst criminal offenders are sent to live out their lives. The island is surrounded by a 50-foot wall and escape is considered an impossible feat. The U.S. President is captured and held hostage by inmates after Air Force One crashes on the island. They demand to be released or they will execute him. 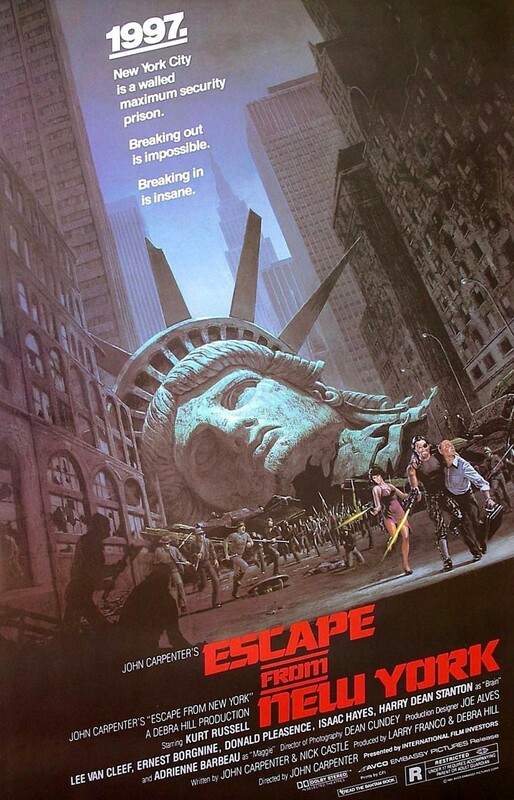 Snake Plissken is recruited by Commissioner Hauk to go in and rescue the President and a recording of an important speech. Snake must rescue the President within 24-hours to receive a full pardon. As Snake fights his way through hostile territory, he uncovers clues about the President's location. Snake does find him, but now must get him out alive.